Hey there friends! 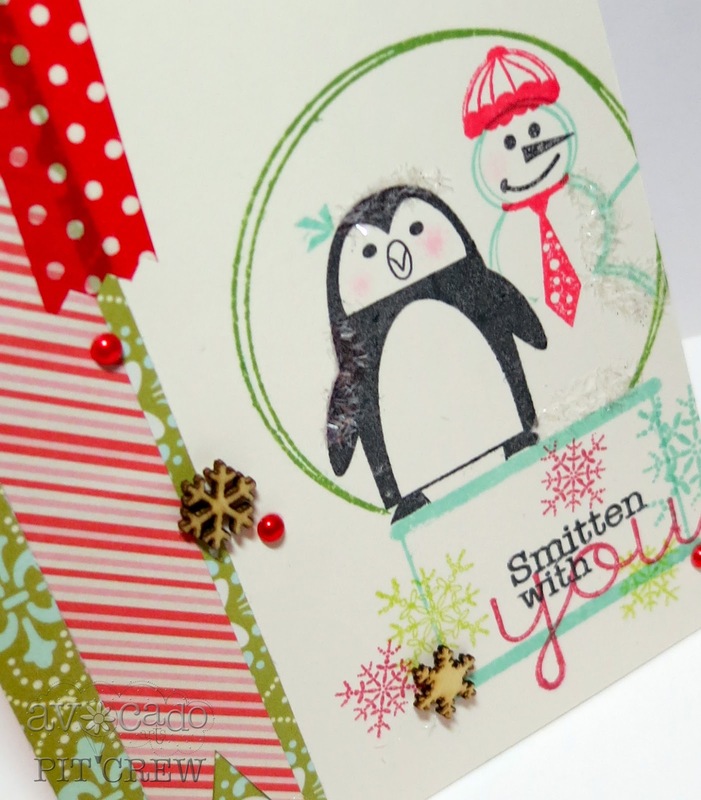 Today, the Pit Crew brings you projects featuring December's new set, Smitten With You. This super cute set features a dress-me-up stylish penguin, a cute snow globe, snowflakes and a cozy little igloo. For today's card I was inspired by the adorable penguin, sentiment and snowglobe to make this cute little love card! I masked the penguin and snowman from Brrr! And the Nerdy Snow Peeps in a little snowglobe! To give it a wintery feel I added snowflakes from Brrr! And the Nerdy Snow Peeps, some tinsel glitter and rosy little cheeks on the penguin!